The latest brew in our collaboration series is finally here! 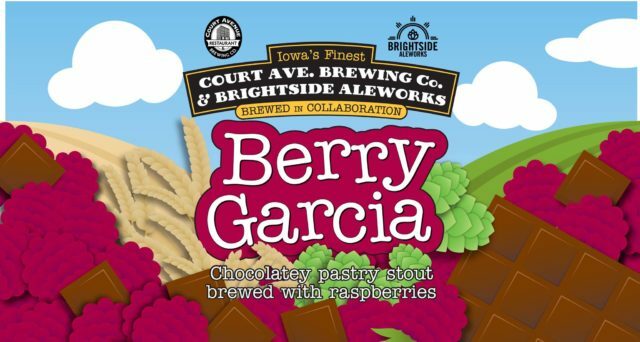 We partnered with Court Avenue Restaurant & Brewing Company to create this tribute to a tribute that’s uniquely its own. Loaded with rich dark chocolate and a ribbon of refreshing raspberry, enjoy the flavors as they swirl across your palate…no spoon required! Limited quantities of 22oz bomber bottles (limit 2). 32 oz growler fills are good (limit 1).